Cozy cottage located in Selva. 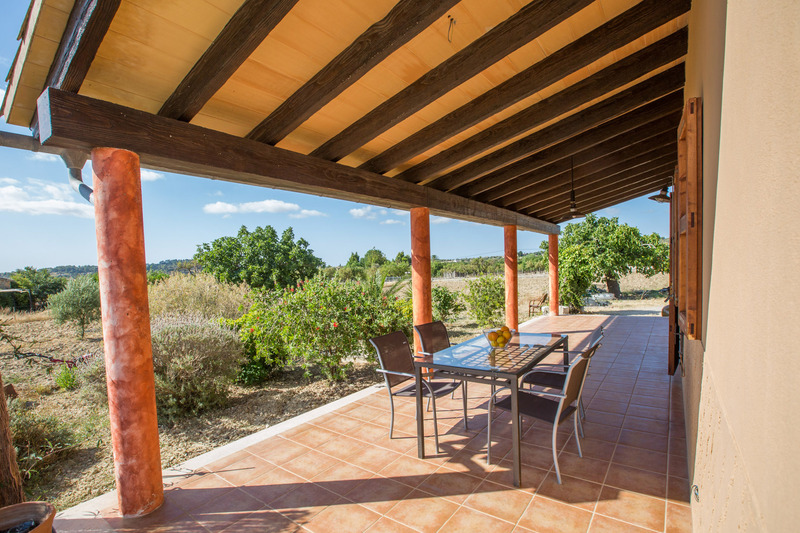 This property features views of the mountains and the village and it can comfortably accommodate 4 people. 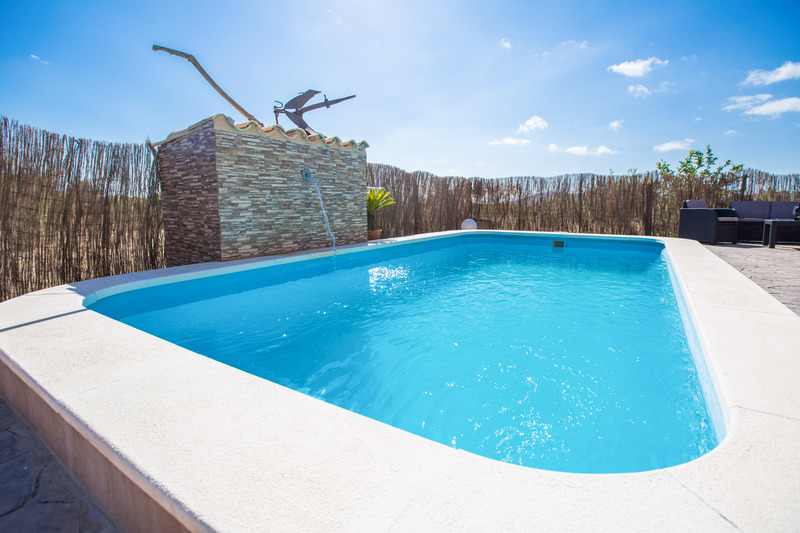 In the exterior area of the property you have access to 1 chlorine 6x3m fantastic pool with a depth of 1.30 m. In this beautiful house there is 1 40m2 furnished porch where you can enjoy pleasant summer lunches and dinners. 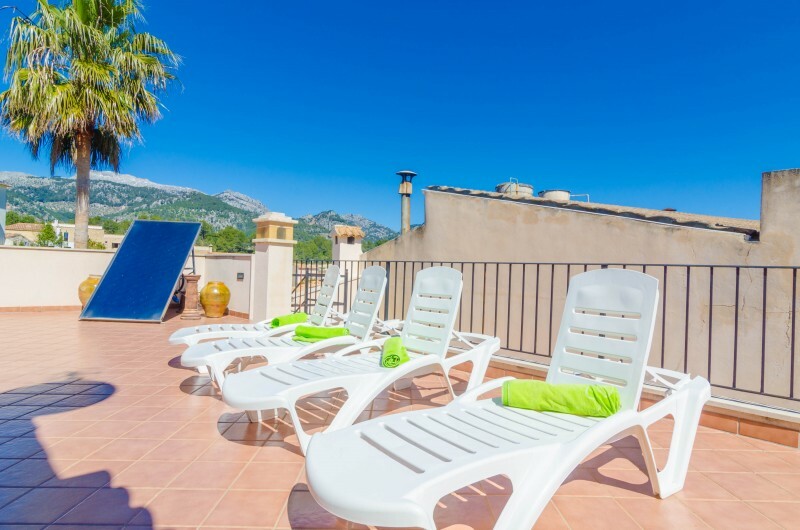 It also has 1 70m2 furnished terrace, which is located next to the pool, where you can enjoy delicious snacks and refreshments with your loved ones. The fixed barbecue is located in front of the pool and has a convenient side sink. 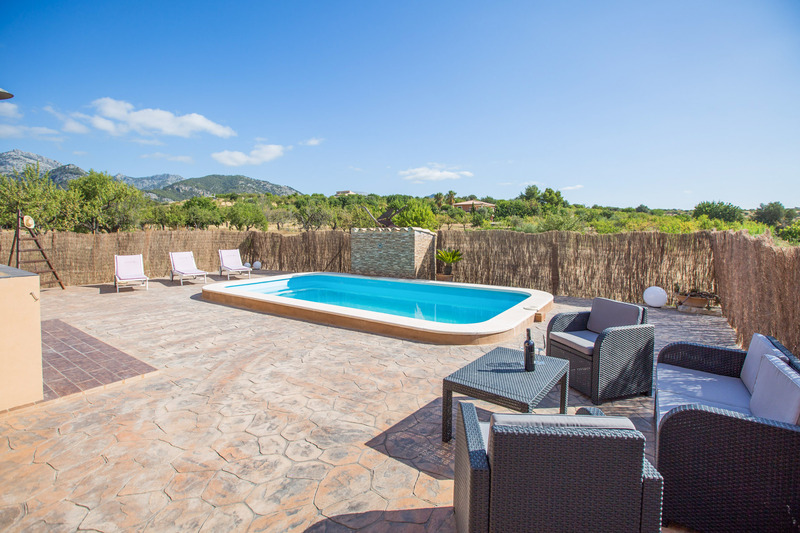 The pool area also features 3 sunbeds to enjoy the sun in Mallorca. This property offers you outdoor parking for 4 cars. 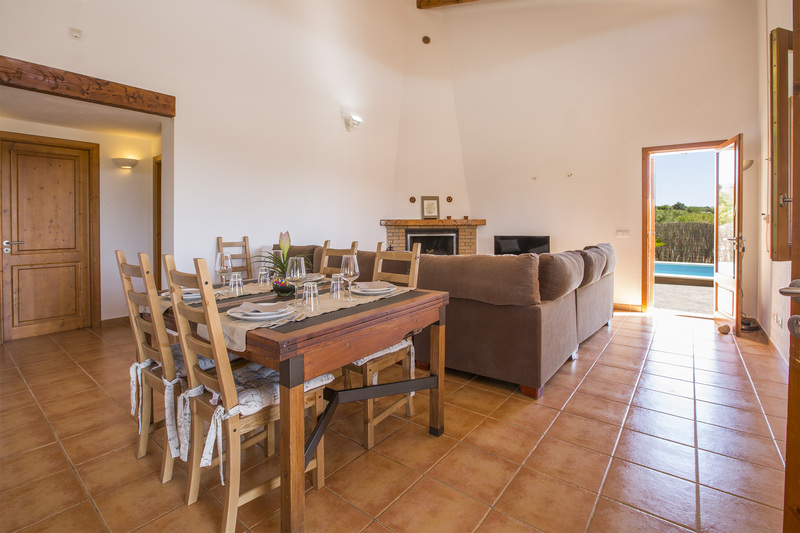 The living room, dining room and kitchen of this property are located in the same area. The cozy living room has a fireplace and there, you can relax watching satellite TV or reading a good book. The furnished dining room offers you a fantastic space in which to share unforgettable moments with friends and family. 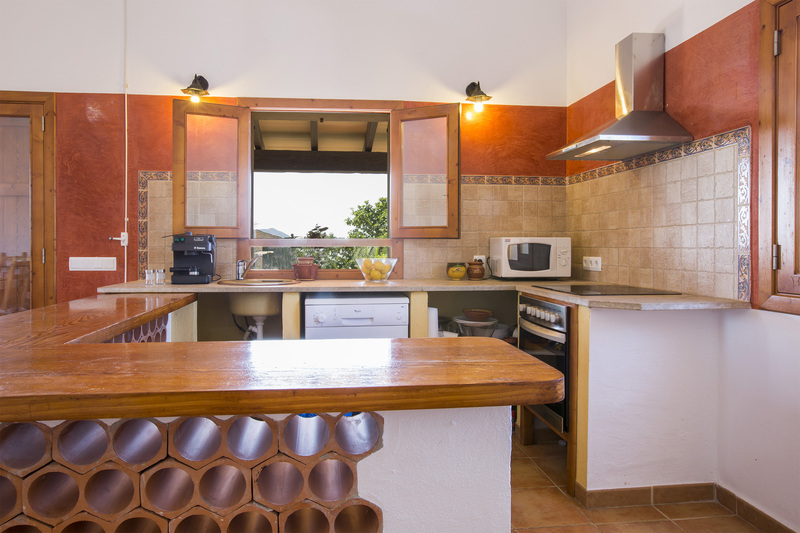 The kitchen has everything you need in order to prepare any dish you wish, including electric stove. The laundry area is located in the terrace and it has 1 washer; in one of the rooms of the property you also have 1 iron and 1 ironing board. This property has a total of 2 bedrooms with wardrobes, 1 with 1 double bed, and the 2nd with 2 single beds. 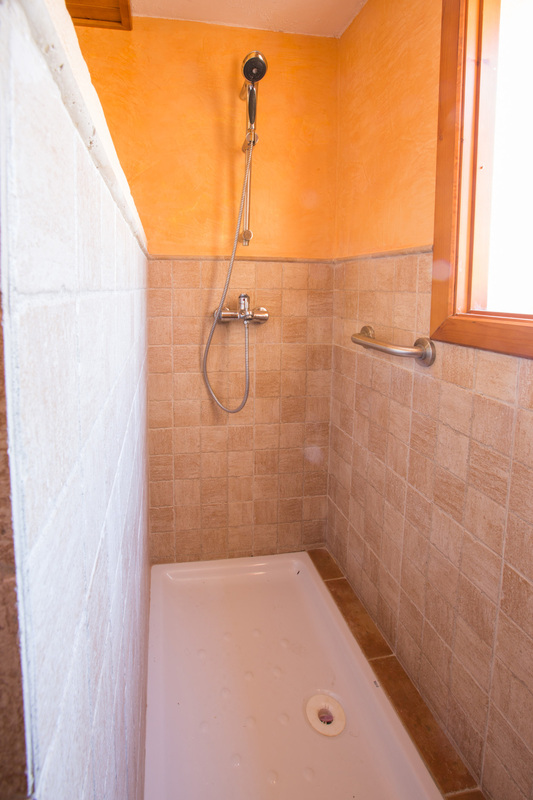 In the house there is 1 bathroom with shower, and if needed, you also have access to a crib. 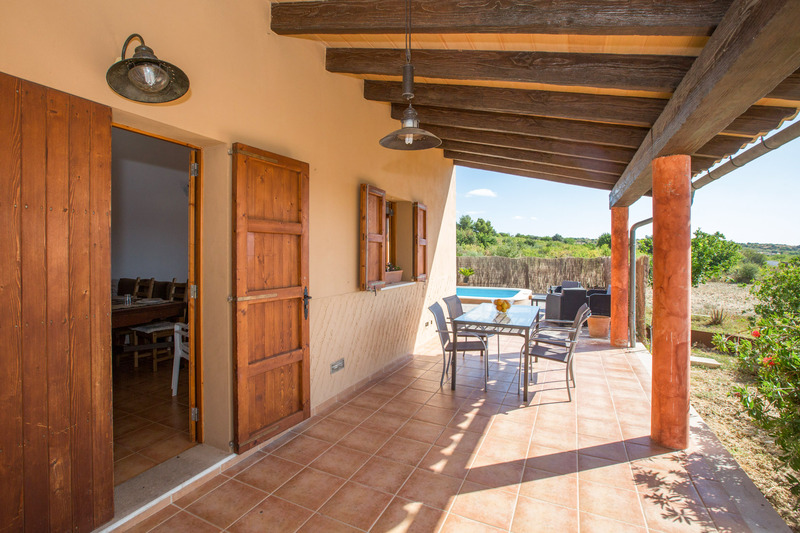 Selva is a beautiful village at the foot of the mountain, ideal for excursions to the Tramuntana Mountains and located near the motorway, being this way well connected to visit any area of Mallorca. There is a market every Wednesday morning, where you can find traditional products of the island. Selva is about 6 km from Inca, one of the most important towns of the island because of its leather tradition. There, you will find all kinds of shops where you can buy high quality leather products. If you prefer to visit the beaches of Mallorca, the closest and the one prettiest is the Port of Alcudia, where you can enjoy a white sand beach of great extension with clean water. There, you can practice a variety of water sports, such as windsurfing, kite surfing or jet skis. The holding of events is not allowed in this property. 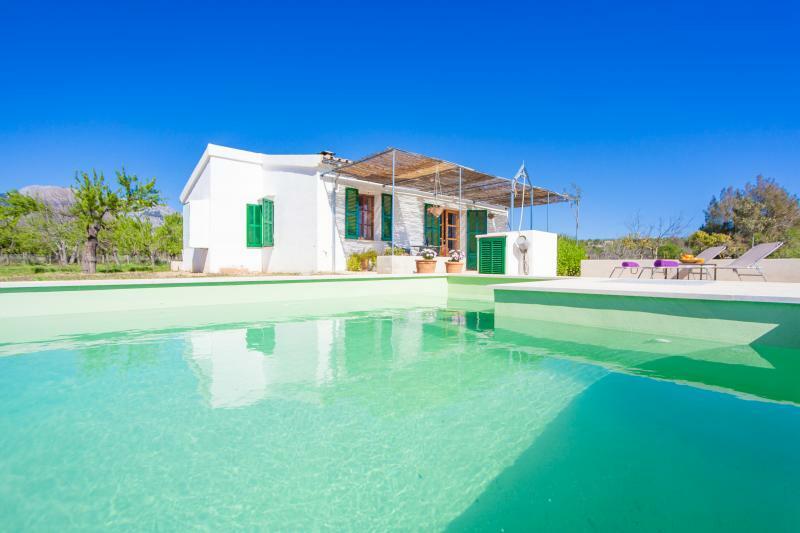 Lovely house - located within walking distance to Selva. Super Lage, schön ruhig ideal für Familien ! 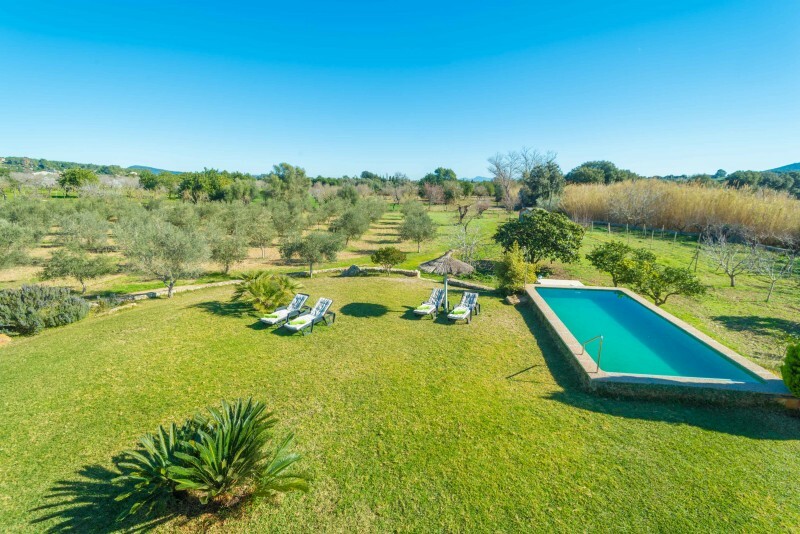 Tolle Finca schöner Pool ! We have just arrived home from a one week stay at this beautiful villa. 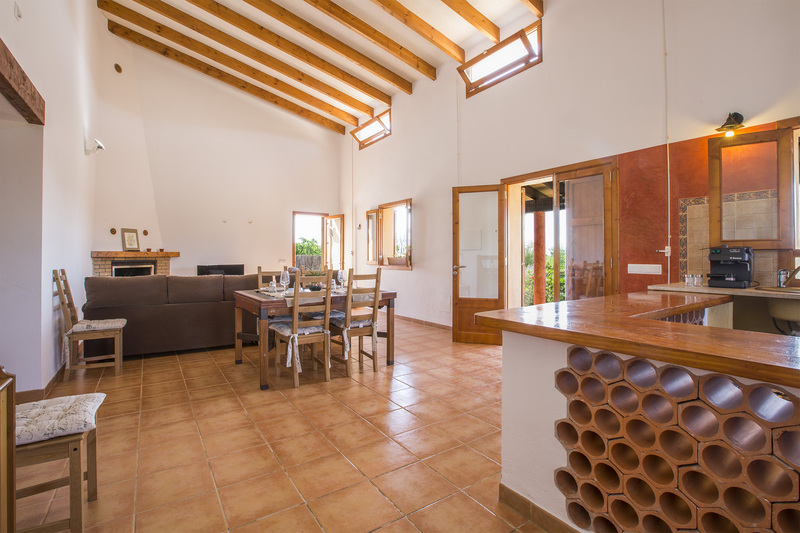 It is very secluded and private - making for the perfect getaway! 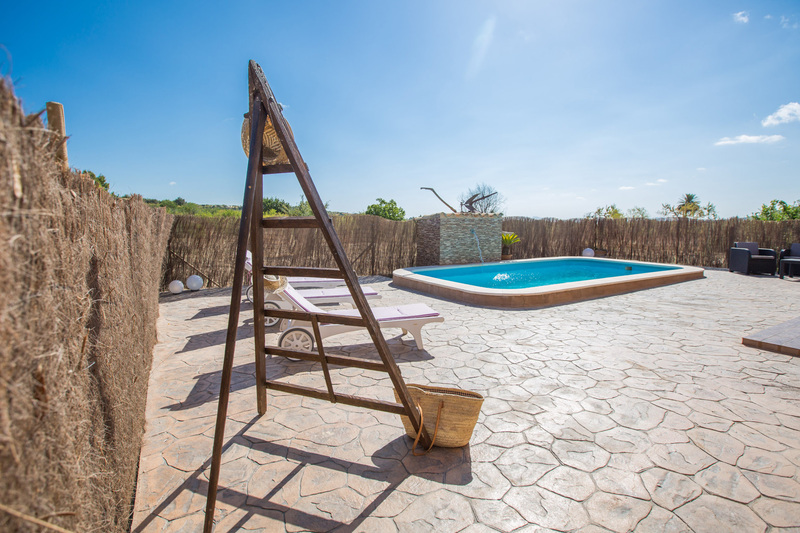 The private pool is lovely and with comfy sunbeds for sunbathing during the day. 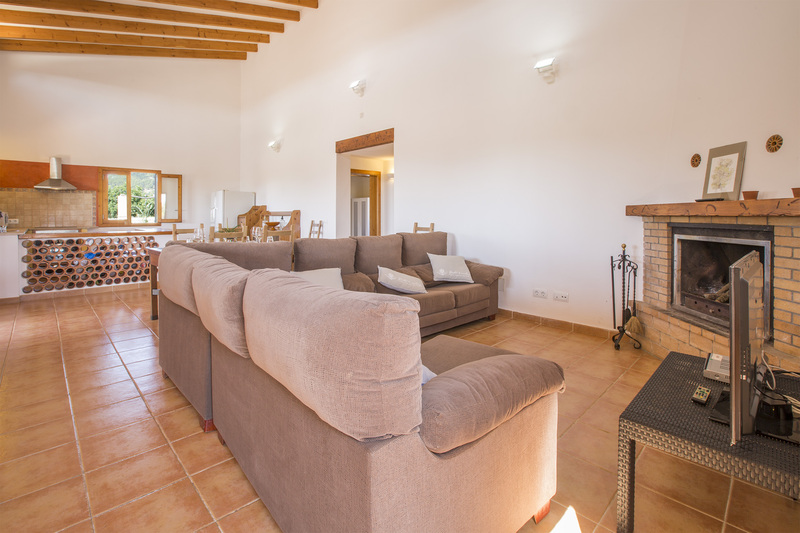 The villa itself is huge, plenty of room and very clean and well equipped for self catering. The double bed was extremely comfortable and the furnishings all modern and in great condition. Loved having plenty of outdoor seating to have breakfast on in the morning watching the sun rise and to eat dinner on an evening watching the sunset with views of the mountains in the distance. A lovely quiet area, we felt very safe and relaxed. The owner was also lovely and greeted us on arrival at the villa, showing us around and even brought us fresh fruit, beer and wine which was a lovely touch. Nothing was too much trouble for him and he even popped by during the week to check we was ok and whether we needed anything. Selva is a beautiful small village, very quiet with a few bars and shops but it was great to be amongst the locals and away from the tourists! 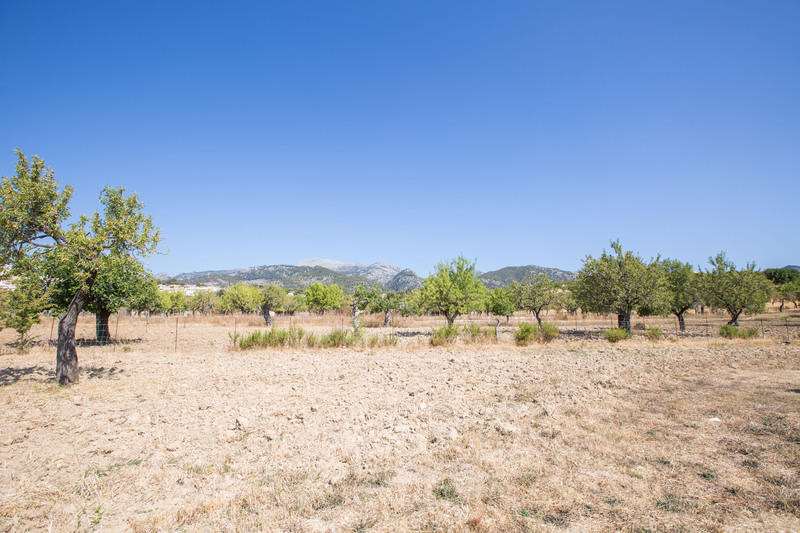 All areas in Majorca easily accessible from here so it makes a great base for exploring - I recommend getting a car as there are so many beautiful beaches and views to explore. We were so sad to leave this villa and come home - we would 100% recommend staying here! We had a wonderful holiday in this very nice house. We had a wonderful holiday in this very nice house. It is in a very quite and green area, but also very close to the nearby village. Upon arrival, the kind host took his time to inform us about the best bars, restaurants and shopping places for fresh food in the neighbourhood. When we go back to Mallorca, we already know where we will stay again! Gute Abwicklung und sehr gute Wegbeschreibung zur Finca. 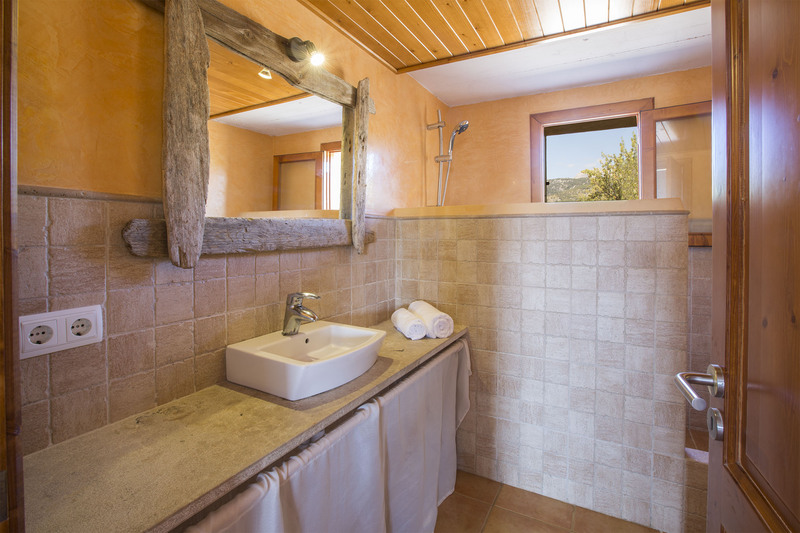 Die Finca selbst liegt ideal z. B. Zum Fahrradfahren, sie war innen sehr sauber. An Küchenutensilien ist das nötigste vorhanden, es ist aber gut daran getan ein scharfes Messer einzupacken. Im. Umliegenden 'Garten' wachsen Feigen, Zitronen und Rosmarin dir man auch benutzen darf. Vermieter ist nett, hat uns am Ankunftstag begrüßt. Einzige kleine Abzüge gibt es da der Pool leider nicht sauber war und dass hinter dem Haus und im Garten alte Strandspielsachen herumlagen und die Liegenauflagen bald erneuert werden sollten. Wir haben uns sonst sehr wohl gefühlt! "We had a wonderful holiday in this very nice house. It is in a very quite and green area, but also very close to the nearby village. Upon arrival, the kind host took his time to inform us about the best bars, restaurants and shopping places for fresh food in the neighbourhood. 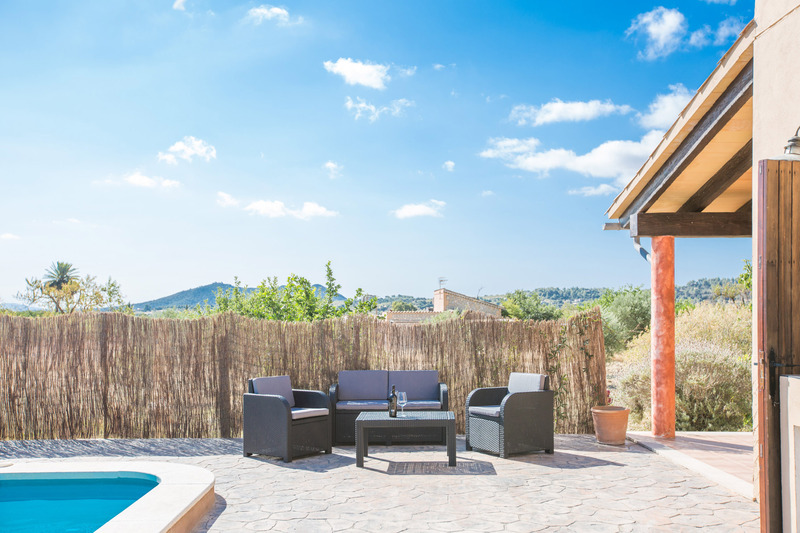 When we go back to Mallorca, we already know where we will stay again!" After our flight got delayed for nearly 5 hours, Laurence greeted us in the middle of the night with some wine, beer, bread and fruits. He was very friendly and showed us the whole place. During our stay he was available for questions and tips regarding the island. 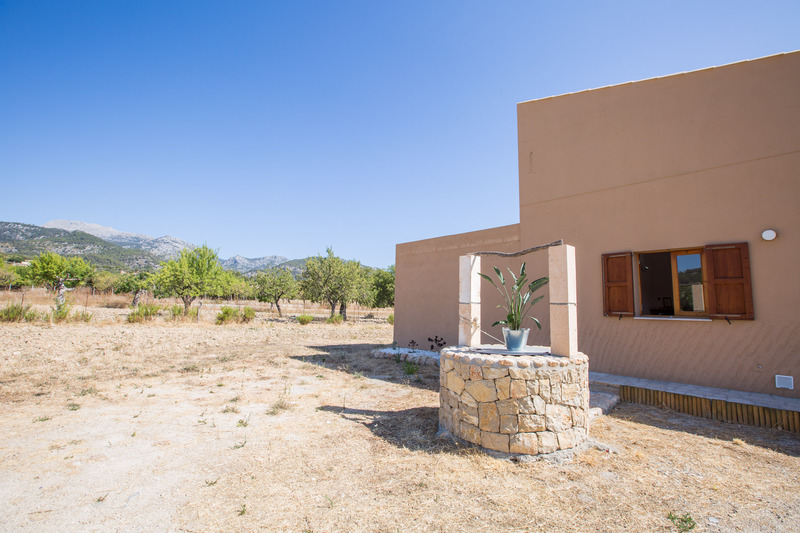 The house is fairly remote but it only takes a 10 minute drive to the big supermarkets in Inca and a 5 minute walk to the main street of Sleva. 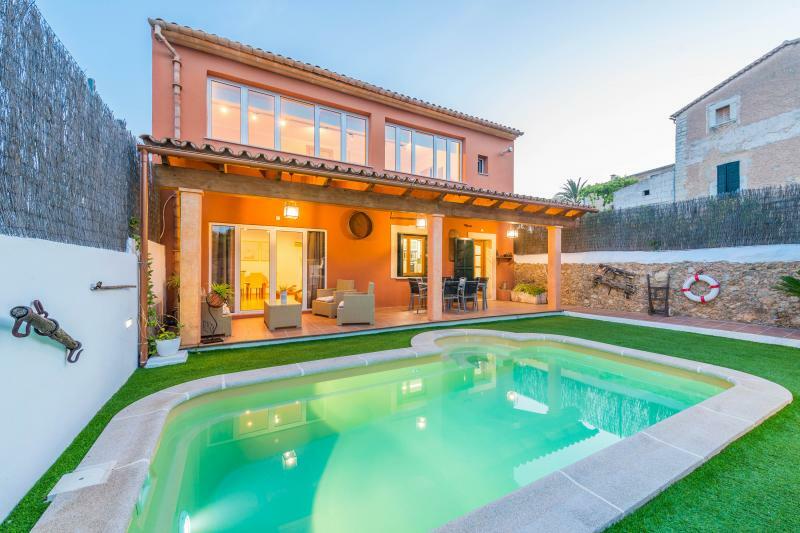 The house has a nice pool area and a roofed terrace with a dining area. The main bedroom has direct access to the pool area and is nicely decorated. It was a overall pleasant stay and I can recommend the hous to everybody who is looking for a relaxing time off the grid. "We loved Laurenc and his warm welcome and wonderful hosting. Such a kind and thoughtful man. We loved the village and the complete peace. 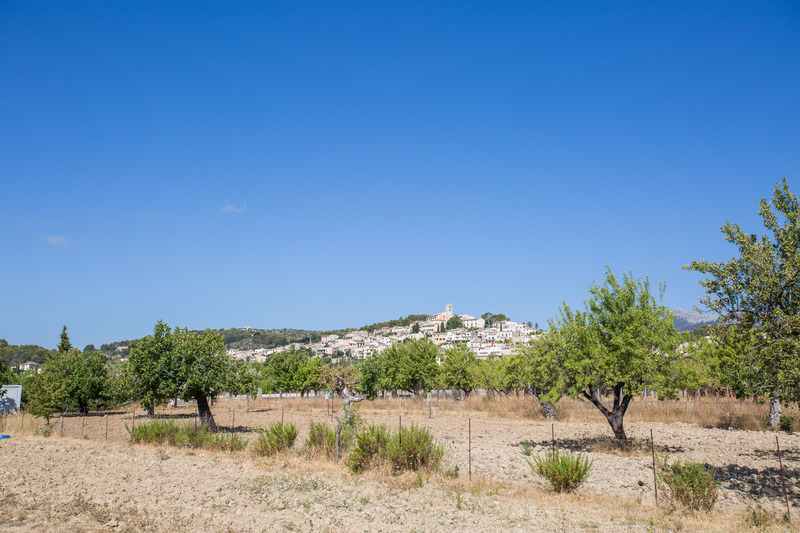 We thought Majorca was spectacular - all the places that were recommended to us were fantastic. laurenc's local knowledge was priceless - the restaurant in Caimari was fabulous, the market in Sainta Maria was brilliant and the beaches at Cala St Vicenc were exquisite. We had so much fun gecko hunting every night! The pool was a highlight and great even in the rain! "